Janzen's Pharmacy employs 3 LTC Consultant Pharmacists, 2 of which are Certified Geriatric Pharmacists, 2 drug distribution Pharmacists and a team of full time pharmacy assistants dedicated to servicing our LTC clients. 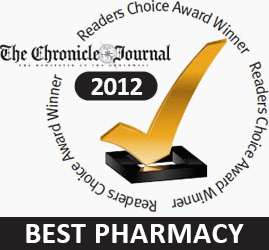 We provide pharmacist on-call availability, 24 hours a day, 7 days a week, 365 days per year. Our LTC department is fully staffed 7 days a week, with designated phone and fax lines to ensure smooth communication.